Just what happens to an Olympic village after the athletes have gone home. Every four years the host nation promises a legacy that emerges with the transfer of the facilities to the nation. 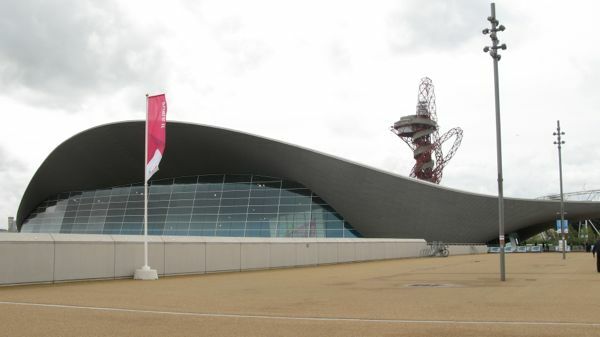 The London Olympics were no exception. Now open the public the location has been transformed from the intense sporty bits to a leisure facility surrounding the remaining operational buildings after what seems a zealous cull. Although the success of the modifications to the London Olympic facilities are yet to be proven, regrettably the world is littered with the relics of Olympic games that never stood the test of time and lie unused, decaying in faded glory. The park is still to grow in popularity. 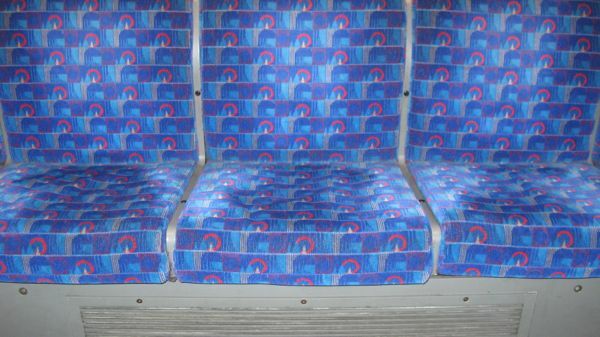 My trip on the tube from central London revealed some empty seats and most of the passengers were on their way to the shopping mall alongside the Olympic park. 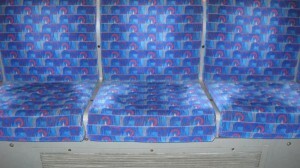 A rare sight, empty seats on a London tube train. Comes as a shock to see what the £9.6 billion cost of the London Olympics actually bought. 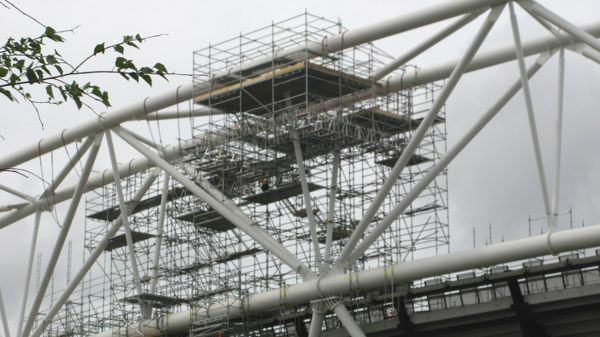 Chuck in the extra £580 million now being spent to modify the place and it all seems a colossal fee for what is actually left for futures generations. 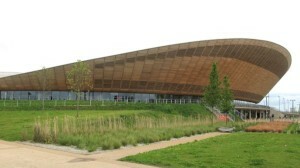 The swimming pool, cycling velodrome and main stadium remain but look so much smaller than expected. The TV camera can play tricks. The site is still work in progress with what seems miles of boarding to separate the visitor from the civil engineering. Plants shrubs and trees are still being planted at a pace. Overall it gave the impression the ideal time for a visit would be in five years time, when the building work is complete and the shrubbery matured. The whole park is equipped with an abundance of seats but very few toilets. There is however water everywhere; rivers, canals and fountains which exacerbates the need for a pee. 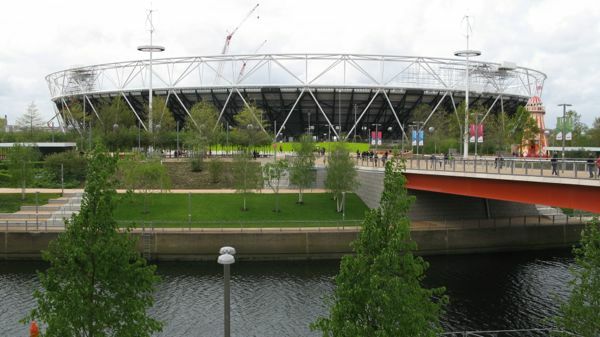 The park is dissected by the River Lee, the Limehouse Cut canal, and some wetlands. Now all cleaned up the park shows little signs of the gruesome waste land that was before. As you travel around Europe most old buildings seem clad in scaffolding as their ancient structure is renovated. 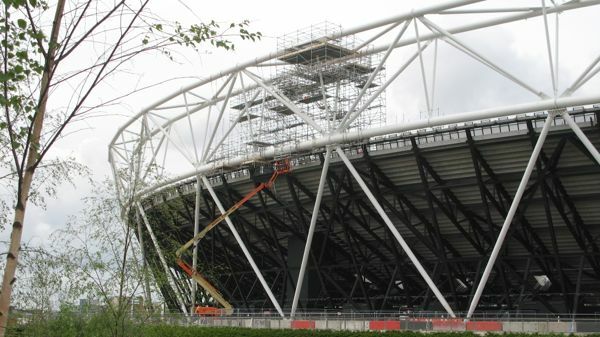 The Olympic stadium is also clad in scaffolding whilst the top deck is removed. Spending cash to destroy, sorry modify the stadium seems a hideous way to spend money. Main Stadium undergoing modifications to house West Ham Football Club. 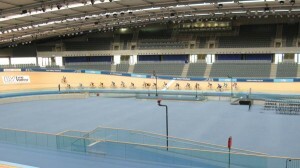 The Velodrome is worth visiting. 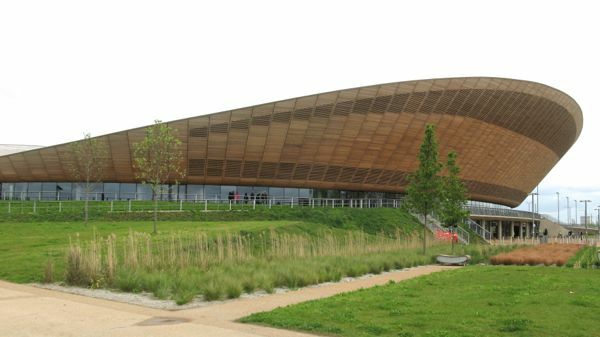 The futuristic building is highly functional and possibly one of the few stadium where the spectator gets a great view of the action. 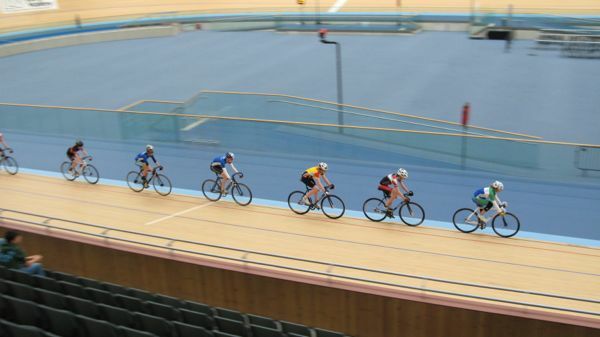 You are able to have a squint inside from the spectators area that circulates the track where you can find a very reasonable priced cafe and TOILETS! 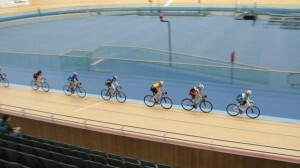 Watching the cyclists being schooled on the track allowed the spectator to see close up just how steep the end banking on the track is. The London Olympic games were heralded as a sporting and organisation success. It seems a shame the event costs such a huge sum of money to stage and that the aftermath is a desperate bid to make some use of the facilities which now look a little lost. 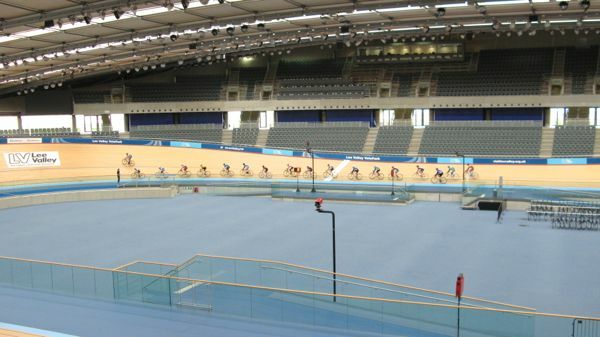 This entry was posted in Reviews and tagged Lonodn olympic facilities, Queen Elizabeth Olympic park by Alistair Owens. Bookmark the permalink.